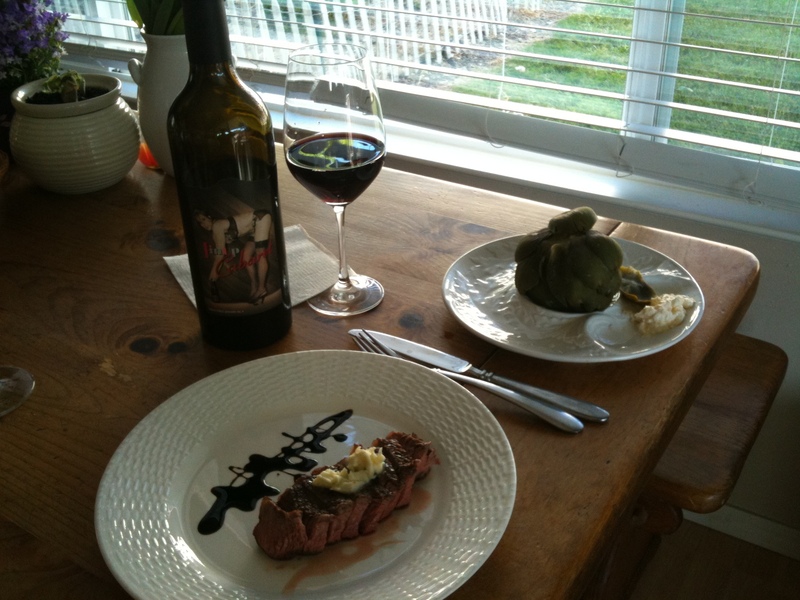 This is the first of (Hopfully) many guest blog posts on Norcal Wingman, it is my honor to share with you a post from Tim Hilcove, of the Weekly Wine Journal, without further ado Steak & Shiraz ala Hilcove! I cooked my steak from frozen. 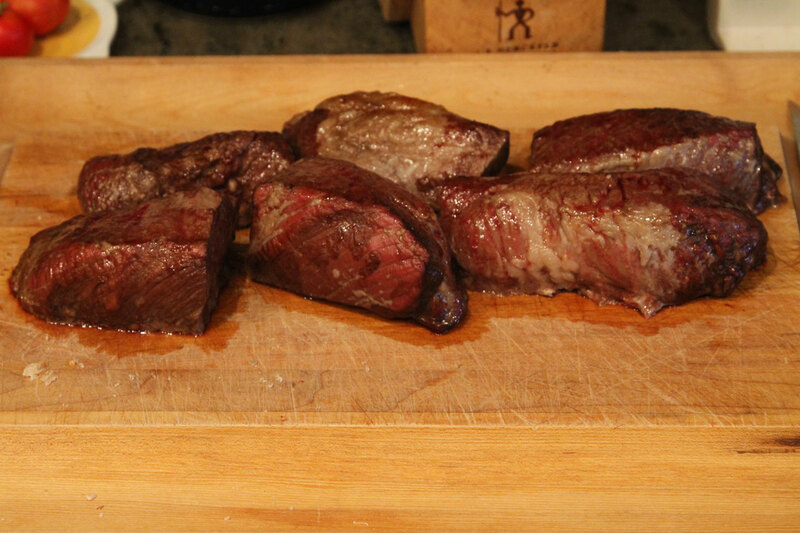 The first thing to do is turn on the oven to 300F and put the frozen steak on a tray in the middle rack. While that is happening you should chop up the bacon and begin frying it on medium low to medium heat, while using a spatula to turn and toss frequently. You don’t want the bacon to burn and stick to the pan. This bacon is going to be the bacon bits that you put on the spinach and feta salad. 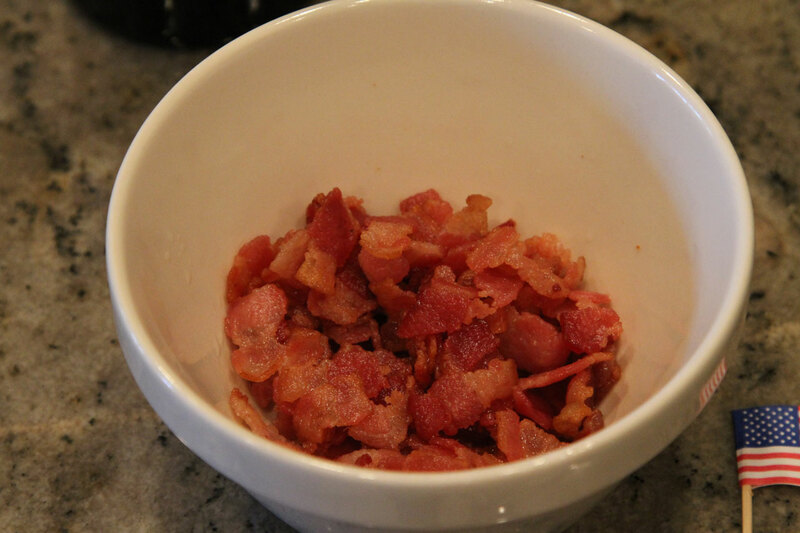 When the bacon has reached your desired level of crunchiness, drain the fat into a cup and scoop the bacon bits into a bowl. Turn off the heat and leave the pan, don’t clean it. Remove the steak from the oven, pour the bacon fat on top of the steak and put the steak back in the oven for 30 minutes. 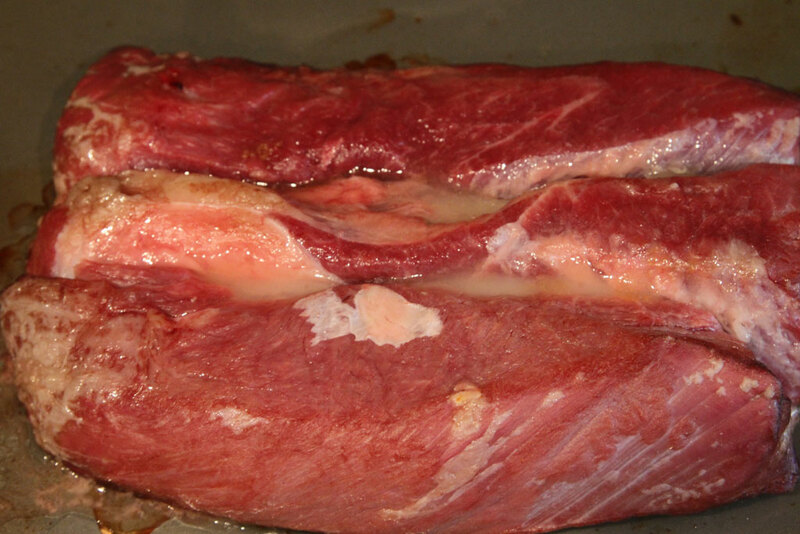 With Trip tip steak it is important to avoid cooking the steak too fast. The flavor is better when it is slow cooked, and also not over cooked, medium is about as well done as you’ll want it. After 30 minutes turn up the heat to 350. Keep an eye on it because the bacon fat will start to sizzle. When you start to see it smoke, turn the heat down a little. Finally, after about 45-50 minutes in the oven, turn off the heat, but keep the steak in the oven. 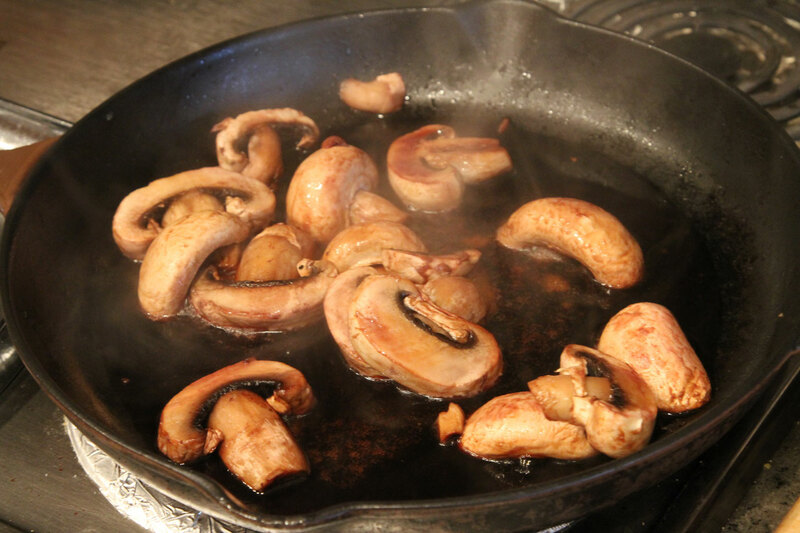 Turn on the frying pan, lay the mushrooms in the greasy pan and turn on to medium heat. As the pan warms up, splash some Shiraz in there and simmer, then splash some Soy sauce and Chipotle Tabasco, and toss and turn the mushrooms so that they are steeped in the sauce. Sauteed in bacon grease, yum! 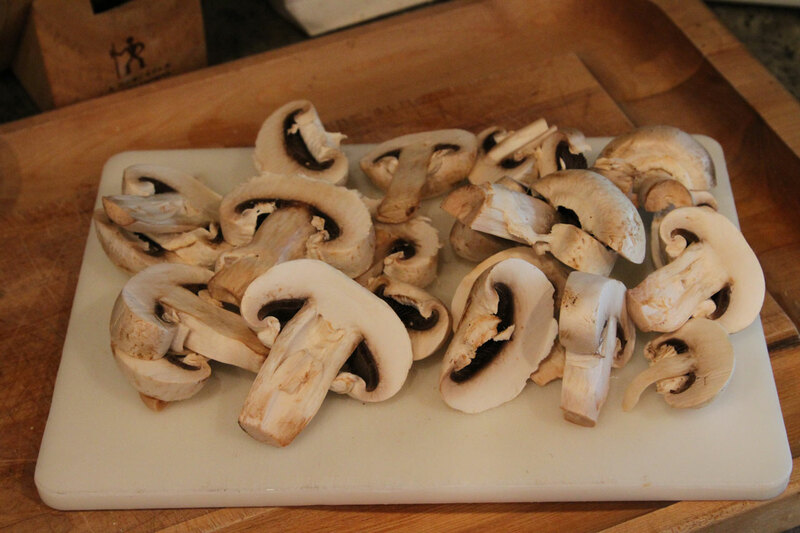 Do not over cook the mushrooms, remove them from the pan and put them in a bowl. Turn off the heat and pour the remaining sauce in a bowl. You will drizzle this sauce on your steak just before you serving. 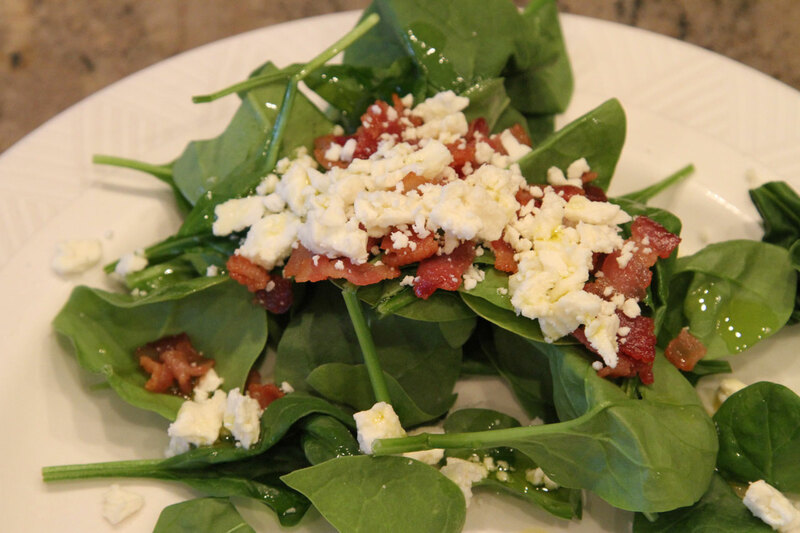 Alright just about there…put some leafy spinach on your plate, throw on some crumbled chucks of feta cheese, add some olive oil and the bacon bits. Take the steak out of the oven now. It should have been in there just about an hour. Cut the strips in half to check the wellness. They should be juicy and medium rare, if not, put them back in for a few more minutes. With a teaspoon drizzle the sauce over the steak. 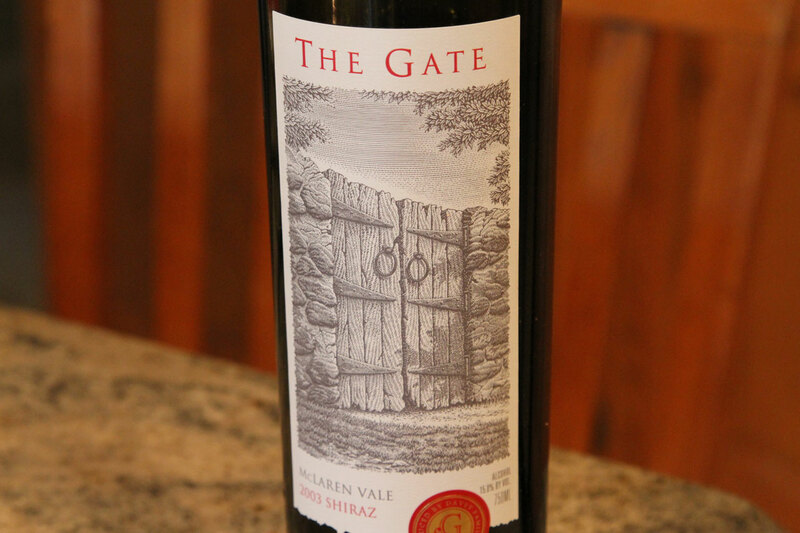 Pour yourself a nice big glass of the Shiraz and serve! Tim Hilcove is a wine blogger who lives in Scottsdale, Arizona. He runs the Weekly Wine Journal, and is also a guest writer at Corkd.com ( http://content.corkd.com/author/timhilcove/ ) You can find Tim on twitter @wklywinejournal and on Facebook.